Debates on whether the central bank needs to further ease monetary policy or not are continuing among analysts, with their emphasis on guessing the next liquidity injection through reducing banks' reserved deposits. 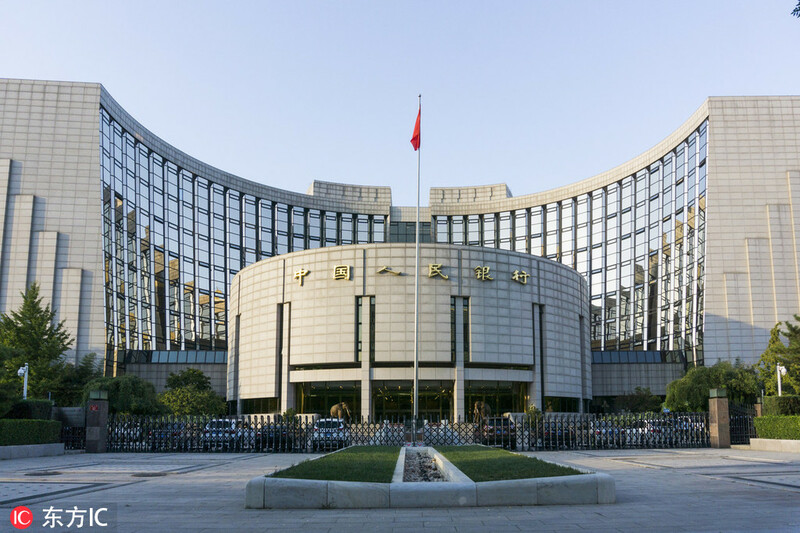 Supporters of monetary easing expect that another cut in the reserve requirement ratio (RRR) may come no later than this week, as a liquidity shortage may occur after commercial banks pay back 366.5 billion yuan ($54.65 billion) to the central bank on Wednesday. That amount of interbank lending was conducted previously under the medium-term lending facilities (MLF) scheme. Opponents, however, contend that the current liquidity is sufficient, and any further easing will fuel inflation risks, especially as Chinese economy has started its upcycle. The central bank's monetary policy committee held the first quarter's regular meeting on Friday. The members achieved a consensus to continue the counter-cyclical measures and strengthen coordination between monetary and fiscal policies. Policy fine-tuning should be at the proper time, to prevent risks with the priority of stabilizing growth, according to a statement after the meeting. The monetary policy should "maintain strategic focus", keeping it prudent while the liquidity should be at a reasonably adequate level, it said. Financial policies are required to further support small and private companies, and funding through the capital market is supported by the authorities, according to the statement. The central bank had skipped open market operations for 15 consecutive working days until Monday. "Reasonable and adequate liquidity in the banking system" was the main reason for the absence of open market operations, according to a statement from the central bank. To cut or not to cut the RRR, a strong tool for liquidity adjustment, has become a hot topic since April, not only for investors, but also for policy advisers. Divergent opinions are spreading among a broader group of market observers. The market is trying to get more indications from the monetary authority, although the Chinese central bank barely sends any hints on possible monetary policy operations before taking action. "Essentially, it depends on the growth of money supply (M2)," said Sheng Songcheng, a central bank adviser and a former director of the central bank's statistics department. Aggregate social financing, a gauge to measure broader financial activities including trust funds and local government bonds, also grew faster than market expectations. That total financing amount grew to 2.86 trillion yuan in March, or a 11.1 percent growth from a year earlier, compared with 10.6 percent in February, said the central bank. "According to the latest economic data, there is less necessity for RRR cuts, but it requires further observation on future changes," said Sheng. If the central bank further cuts the RRR, when economic growth is already stabilized, inflation will surge, and possibly lead to funds flowing into the property sector instead of supporting the real economy, he added. The latest official tone came from central bank's Deputy Governor Chen Yulu over the weekend. He reassured that monetary policy will remain "prudent" and "with proper intensity". The growth of broad money supply (M2) and aggregate social financing should align with nominal GDP growth, according to a statement on the central bank's website. The deputy governor delivered a speech at the 39th meeting of the International Monetary and Financial Committee in Washington. Chen also stressed that the further improvement of the exchange rate regime would "keep the renminbi exchange rate generally stable at an adaptive and equilibrium level". Lu Ting, chief economist in China with Nomura Securities, wrote in a research note that despite solid credit growth, underpinned by ongoing monetary and credit easing measures, the government is unlikely to engineer another long and large-scale "credit boom" due to much narrower policy room than before. In response to the financial regulatory tightening and deleveraging efforts, the Chinese authorities cut reserve requirements for banks five times since last year and took other steps to ease credit conditions.